Luxury home sales remain near all-time highs, with low interest rates facilitating relatively low monthly payments for those who want an expensive home. In fact, our graphic shows the upper end is actually carrying the market thus far in 2017. There is no well established definition for "luxury homes" or "high end homes," so I've chosen homes priced about $600,000 to delineate these properties. Why $600K? Because less than 5% of the Tallahassee real estate market will pay this much for a home in 2017, so I feel like this is a good place to drop a marker for analysis in Tallahassee. In other markets, this number might be far higher (while in a few others the number might be smaller). In the graph above, we plot the number of homes sold each year (blue for 2016, white for 2017, measured on the left vertical axis) and grouped together by price range. The red line shows the difference in sales between this year and last (reported on the right vertical axis). Surprisingly, homes under $250,000 are not doing as well this year as they were in 2016, while those above $250K are up by more than 10%. In fact, when we get to homes priced above $600K, we see that sales are up almost 17% since last year. I believe the graphic above is demonstrating the impact of the inventory situation combined with (slightly) rising mortgage interest rates. People who are going to stretch to buy as much home as possible are doing so now to avoid the (inevitable) rise in interest rates than most experts are reporting. 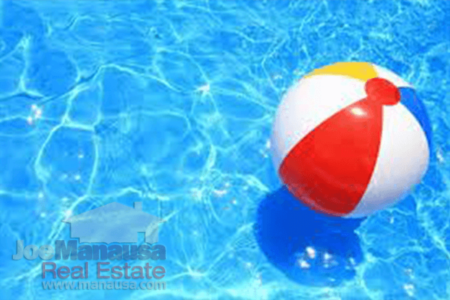 Those who are simply trying to buy a home are finding inventory shortages below $250,000, whereas people who are shopping for luxury real estate have a significant glut of homes from which to choose. 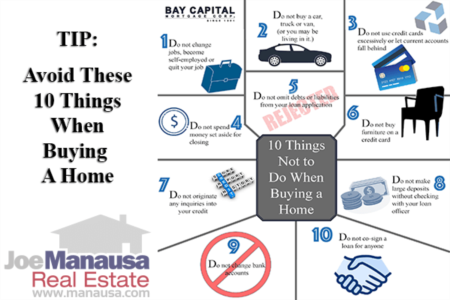 If you are trying to sell a luxury home, you better start paying attention to the market! 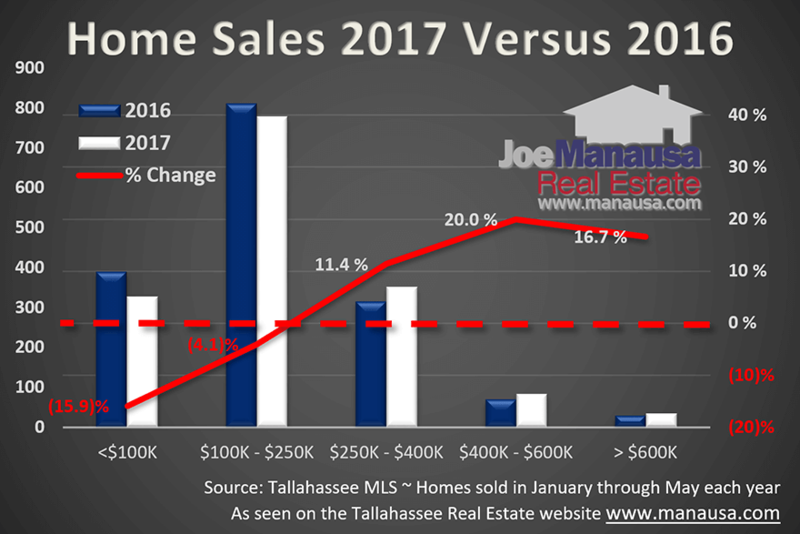 If somebody has misled you into believing that the market is not good and you "just have to wait," you had better gain a quick understanding of just how good the current market is for the most expensive homes in Tallahassee. Even million dollar homes are having a strong year, so don't let this good (as it gets) market get away from you. Can you imagine trying to sell a home at the top of the market when interest rates move up another percent? Or two? Or Three? Unlike the lower price ranges which are dealing with inventory shortages, our higher end homeowners will see the relative supply of high end homes soar when interest rates make the top end of the market unreachable for all but a handful of buyers. 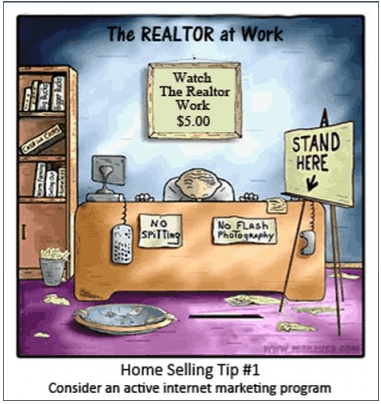 Is Your Listing Agent Too Broke To Be Your Broker?